Liz Fong-Jones, a prominent former Google engineer known for speaking out for employee rights, wrote about her experience inside the search giant in an op-ed published on Wednesday. Fong-Jones writes that she has "grave concerns about how strategic decisions are made at Google today," and that the company has "misused its power to place profits above the well-being of people." She describes the relationship between Google leadership and employees as hitting a low point within the last two years. She says that her disappointment in the aftermath of the infamous Google Walkout led to her deciding to leave the company after 11 years. Liz Fong-Jones, a prominent former Google engineer known for speaking out for employee rights, wrote about her experience inside the search giant — and the concerns she has for the company moving forward — in an op-ed published in Medium on Wednesday. In the op-ed, Fong-Jones writes that she has "grave concerns about how strategic decisions are made at Google today," and that the company has "misused its power to place profits above the well-being of people." 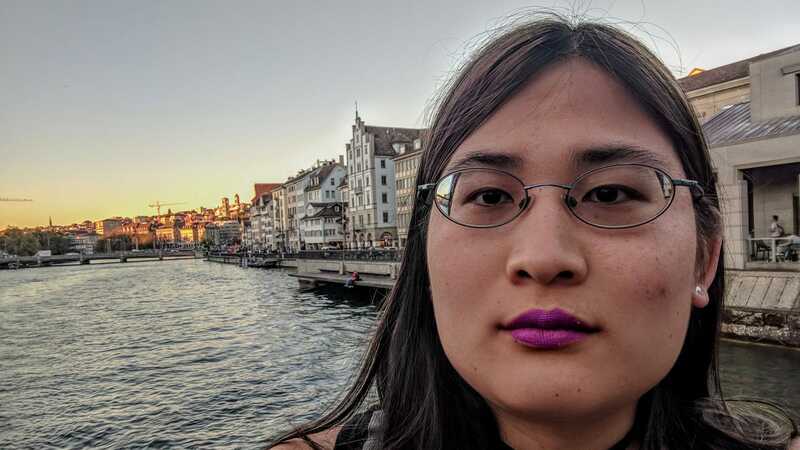 Fong-Jones, who worked at as a site reliability engineer on products spanning from Google Flights to the Google Cloud Platform, had become known as a leading advocate for inclusion, both inside and outside of Google. However, Fong-Jones writes that she felt like her voice was being ignored within the company, and says that executives were acting contrary to Google's famous early mantra of "don't be evil." In January, Fong-Jones left Google after 11 years, taking a new role at startup Honeycomb.io. She writes that her time at Google was characterized by instances where management would ignore the input of employees in rolling out a new product or feature — and then be forced to walk it back, asking for input from those same employees who tried to raise concerns in the first place. For instance, she says, Google employees warned that the real-name policy on Google+ would put vulnerable users in danger before the social network even launched in 2010. Two years later, Google issued a public apology for that policy, as it reversed course. She says that the last two years have been a particularly low point in terms of Google leadership's relationship with employees. She says that Google's push into China, its controversial contract with the Pentagon, and the harassment of colleagues on internal message boards didn't sit well with many employees, made worse by the company's lack of transparency with employees. However, Fong-Jones said that what "utterly shattered employees’ trust and goodwill in management" was the report that Android creator Andy Rubin had been given a $90 million exit package by Google after sexual misconduct allegations — a report that sparked the infamous Google Walkout. The final straw, she says, was leadership "fail[ing] to meaningfully address the demands" of the Google Walkout and its organizers. Fong-Jones wrote that she "can’t continue burning myself out pushing for change," but says she'll remain committed to her former co-workers who are "advocating for equitable treatment of their colleagues and building ethical products." Fong-Jones also said that she has donated her final $100,000 check from Google to any Google employees or contractors who end up losing their job amid any future organizing efforts. "The labor movement at Google is larger and stronger than ever," Fong-Jones said. "And it will continue to advance human rights and the right to a safe and fair workplace regardless of whether management supports them." Fong-Jones told Business Insider on Wednesday that she had no further comment beyond her op-ed posted on Wednesday. Google did not immediately respond to Business Insider's request for comment. Read Fong-Jones' full editorial on Medium here. Got a tip? Contact this reporter via Signal at +1 (209) 730-3387, email nbastone@businessinsider.com, or direct message on Twitter @nickbastone.